The result of National University Masters final year 2012 has been published today (28 December,2015) at 7 pm . 1 lakh 27 thousand and 884 students from 117 colleges sat for this exam in 89 centers. 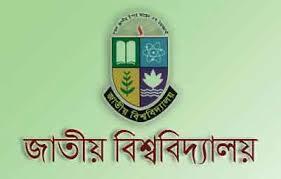 Visit www.nu.edu.bd to get result. NU<space>MF<space>Roll and send it to 16222.